Vineyard Theatre Artistic Directors Douglas Aibel and Sarah Stern announce that Tony Award-winner Billy Crudup (THE COAST OF UTOPIA, Spotlight, THE METAL CHILDREN) will star in the world premiere production of HARRY CLARKE by Obie Award-winner David Cale (LILLIAN) and directed by Leigh Silverman (VIOLET). Vineyard Theatre will produce HARRY CLARKE in association with Audible, the world’s largest seller and producer of digital spoken-word entertainment. HARRY CLARKE launches the 35th Anniversary Season and will begin performances on October 26 and open on November 21. 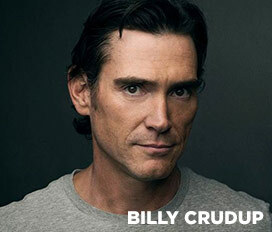 Audible will record and produce Billy Crudup’s performance in HARRY CLARKE as an audio play, available to Audible members in early 2018, and will offer Audible members the opportunity to purchase tickets to HARRY CLARKE at The Vineyard’s Union Square theatre ahead of the general public. Audible’s collaboration with The Vineyard is part of the company’s larger effort to identify and nurture emerging playwrights and expose outstanding performances of their works to millions of Audible listeners. In May Audible announced a $5 million fund dedicated to the commissioning and development of innovative English-language works from playwrights around the globe, supporting the creation of one- and two-person audio plays driven by language and voice. 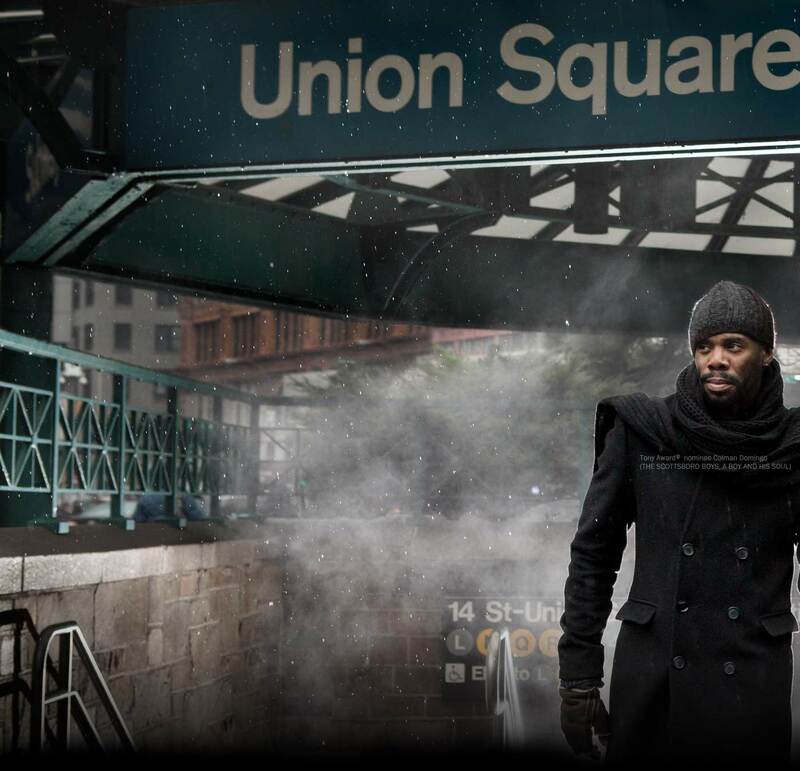 “In keeping with Audible’s core commitment to elevating listening experiences through powerful performances of brilliantly composed words, we are thrilled to help present HARRY CLARKE and bring it to a rapidly growing audience of Audible listeners,” said Audible Chief Content Officer Andy Gaies. A sexually charged and wickedly funny one-man thriller, HARRY CLARKE is the story of a shy Midwestern man leading an outrageous double life as the cocky Londoner Harry Clarke. Moving to New York City and presenting himself as an Englishman, he charms his way into a wealthy family’s life as the seductive and precocious Harry, whose increasingly risky and dangerous behavior threatens to undo more than his persona. The design team will include scenic design by Tony Award-nominee Alexander Dodge (A GENTLEMAN’S GUIDE TO LOVE AND MURDER, ANASTASIA), costume design by Kaye Voyce (SIGNIFICANT OTHER), lighting design by Alan Edwards (ZOOHOUSE), and sound design by Bart Fasbender (BLOODY BLOODY ANDREW JACKSON). Tickets to HARRY CLARKE are now available to Vineyard Members only and will go on sale to Audible members on September 8 at 1pm. Memberships are now on sale for The Vineyard’s 35th Anniversary Season and can be purchased online here or by calling the box office at 212-353-0303. Becoming a Vineyard member ensures great seats to all Vineyard productions for a fraction of the full ticket price. Additional privileges include the ability to reserve seats before tickets go on sale to others, discounted guest tickets, invitations to new play readings, Lab Productions, tickets to the REBEL VERSES Youth Arts Festival, and other exclusive benefits. Tickets for HARRY CLARKE will go on sale to the general public on September 21 at 1pm. Equally memorable on the stage and screen, Billy Crudup has appeared at Vineyard Theatre in Chiori Miyagawa’s AMERICA DREAMING and Adam Rapp’s THE METAL CHILDREN. On stage, Crudup most recently starred in the repertory productions of NO MAN’S LAND and WAITING FOR GODOT on Broadway, opposite Ian McKellen, Patrick Stewart and Shuler Hensley. In 2007, Crudup won a “Best Performance by a Featured Actor” Tony Award for his role in the Broadway production of THE COAST OF UTOPIA. He also received Tony nominations for his roles in THE ELEPHANT MAN, THE PILLOWMAN and ARCADIA. His other stage credits include William Inge’s BUS STOP and the Roundabout Theater’s production of THREE SISTERS, which earned him a Drama Desk nomination. He has appeared in OEDIPUS with Frances McDormand, starred in the New York Shakespeare Festival production of MEASURE FOR MEASURE at the Delacorte Theater in Central Park, and starred in the off-Broadway run of THE RESISTIBLE RISE OF ARTURO UI opposite Al Pacino and Steve Buscemi. Crudup most recently starred in Ridley Scott’s Alien: Covenant and made his television debut in Netflix’s psychological thriller “Gypsy.” Additional major motion pictures include Jackie, 20th Century Women, Spotlight, Youth in Oregon, The Stanford Prison Experiment, Sleepers, Everyone Says I Love You, Inventing the Abbotts, Without Limits, Jesus’ Son, Waking the Dead, Almost Famous, 1 Mile to You, Glass Chin, Rudderless, Blood Ties, Eat Pray Love, Public Enemies, Watchmen, Charlotte Gray, Big Fish, Stage Beauty, Trust the Man, Mission Impossible 3, and The Good Shepherd. Upcoming, he will appear in Zack Snyder’s Justice League, to debut in November, and will star in the 2018 film adaptation of Maria Semple’s novel, Where’d You Go, Bernadette, alongside Kristen Wiig and Cate Blanchett. Leigh Silverman will be making her Vineyard Theatre debut. Her Broadway credits include: VIOLET (Roundabout; Tony nom. ), CHINGLISH, WELL. Her Citi Center Encores productions include: REALLY ROSIE, THE WILD PARTY, VIOLET. Her recent Off-Broadway credits include: SWEET CHARITY (The New Group), ON THE EXHALE (Roundabout), THE OUTER SPACE (Public Theater), ALL THE WAYS TO SAY I LOVE YOU (MCC), THE WAY WE GET BY (Second Stage), TUMACHO (Clubbed Thumb), AMERICAN HERO (WTF; Second Stage), NO PLACE TO GO (Public Theater), KUNG FU (Signature Theatre), THE (CURIOUS CASE OF THE) WATSON INTELLIGENCE (Playwrights Horizons), THE MADRID (MTC), GOLDEN CHILD (Signature Theatre), IN THE WAKE (CTG/Berkeley/Public Theater, Obie Award, Lortel nomination), THE CALL (Playwrights Horizons), GO BACK TO WHERE YOU ARE (Playwrights Horizons, Obie Award), YELLOW FACE (CTG/Public Theater). She is the Vice President of the Society of Stage Directors and Choreographers. Audible, Inc., an Amazon.com, Inc. subsidiary (NASDAQ:AMZN), is the leading provider of premium digital spoken audio information and entertainment, offering customers a new way to enhance and enrich their lives every day. Audible was created to unleash the emotive music in language and the habituating power and utility of verbal expression. Audible content includes more than 375,000 audio programs from leading audiobook publishers, broadcasters, entertainers, magazine and newspaper publishers, and business information providers. Audible is also the provider of spoken-word audio products for Apple’s iTunes Store.